Eagle Dreamcatcher small patch is embroidered in Black / Brown / White / Blue / Red / Yellow and measures 3.5x3.5 inches. You can sew or iron on this patch. If you are applying to leather refrain from ironing on the patch. The embroidered badge does feature die cut borders so you can easily sew it on. 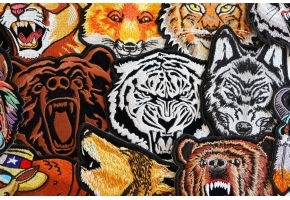 You can purchase embroidered patches wholesale from us as well. 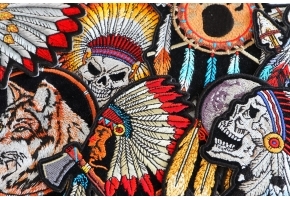 Tribal patches are biker favorites. 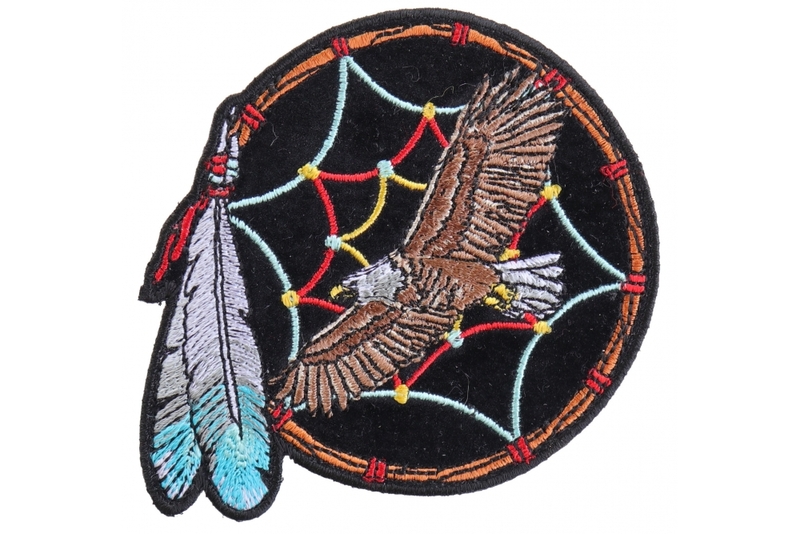 Here is an another one tribal dream catcher eagle patch for riders. 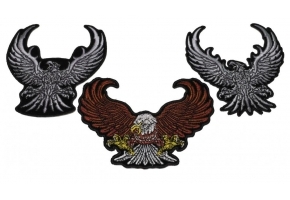 This is twill embroidered eagle patch under the Embroidered Patches category. You can get this featured patch from here at The Cheap Place. According to Native Americans, dreams, that people have while they sleep, are sent by holy spirits as messages. There is a faith, in the center of the Dream Catcher there is a hole, through that good dreams are permitted to reach the sleeper. As for the bad dreams, the web shut them and they disappear at dawn with the first light. Eagles are the symbol of Opportunity and Guardianship. This is an embroidered patch eagle with dream catcher. The emblem consists of some eagle feathers also. This patch measure 3.5 x 3.5 inches. It's made from rayon embroidery thread on a velvet background. The emblem is embroidered in brown, white, red, yellow and blue over the black background. It would add a great sense to your leather jacket or vest. You can Iron on this patch on to your clothes. Also this patch has die cut borders for sew on applications to give a clean finishing. Take a look into our one stop shop for all your patch purchases. Have some fun.